Why a list of recommended copywriting books mixed with marketing ones together? If you’ve noticed, the pro direct response copywriters like Drayton Bird, Robert W. Bly, Herschel Gordon Lewis and Steve Slaunwhite, just to name a few, are all expert marketers. When I was researching which titles to buy, I found that advertising, copywriting and marketing all went hand-in-hand. There simply was no avoiding copywriting + marketing, or advertising + copywriting. 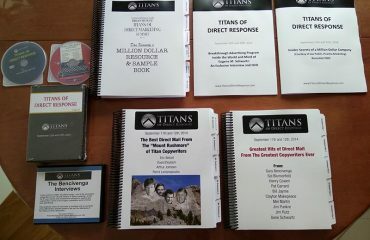 After studying the first few books I got, it was logical that copywriting and marketing went hand-in-hand. And your client’s sales processes also play a huge part in working well with the people that your good ad brings in. Imagine if you had a successful ad that brought people to your client, but those folks received poor service, due to some fault in your client’s sales and marketing processes. The customers will tell their friends, and their bad experience with your client will spread like wildfire. Your successful ad, through no fault of its own, just had an opposite effect on their business. It brought more people in to shop with your client, and more people received a bad experience, and therefore, more give a bad review. But that happens only because their marketing and sales process wasn’t looked into first. Sometimes, what your client needs first isn’t copywriting, but a good look at their marketing. 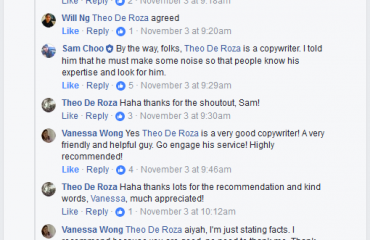 This is why you find that most, if not all, direct response copywriters also provide marketing and consultant services. It all goes hand in hand to make your client’s business more successful. You will find common titles listed here in other lists that you’ve Googled. These are the books that I’ve bought myself too, and quite a number of them are only mentioned in some of the books themselves. It took me quite a bit of time and research to go for titles which gave the most bang for your buck. P.S. This list might grow over 45 recommended copywriting titles as I discover titles that will be helpful to you. You can buy most of them off Amazon.